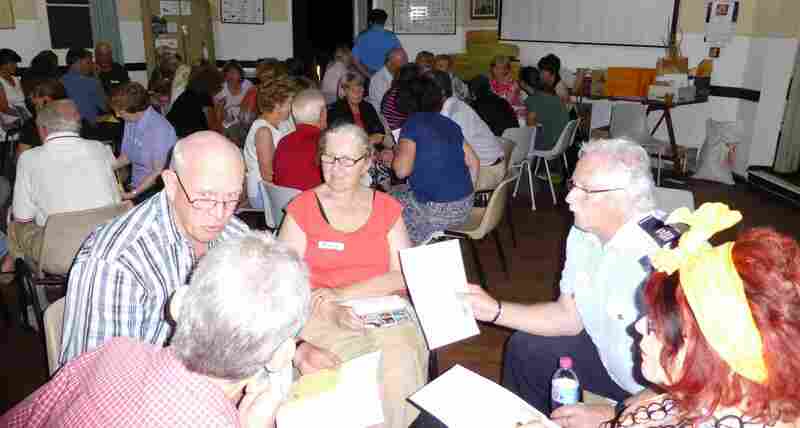 On the 10th of February 57 people turned up to a Be Prepared workshop in Glen Forrest organised by the Hills Sustainability Group. 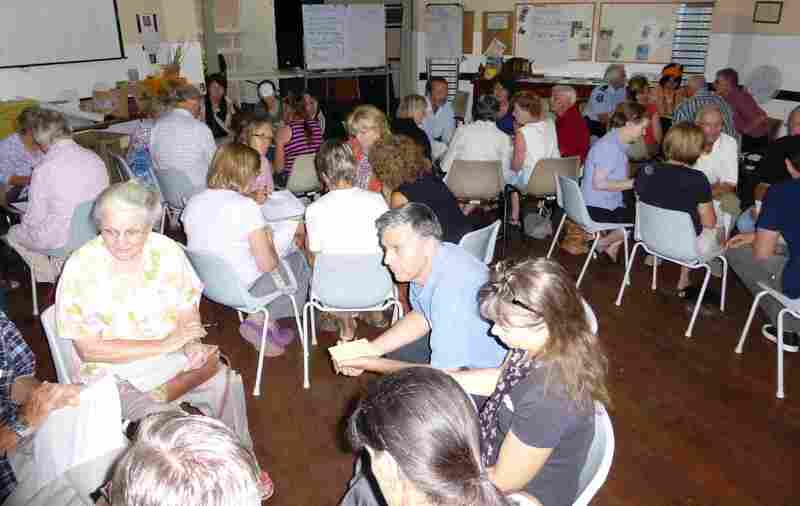 Christine Hogan (leader of the Be prepared action group) facilitated an evening of problem solving and discussion on how to be prepared for and manage heat waves and bushfires. 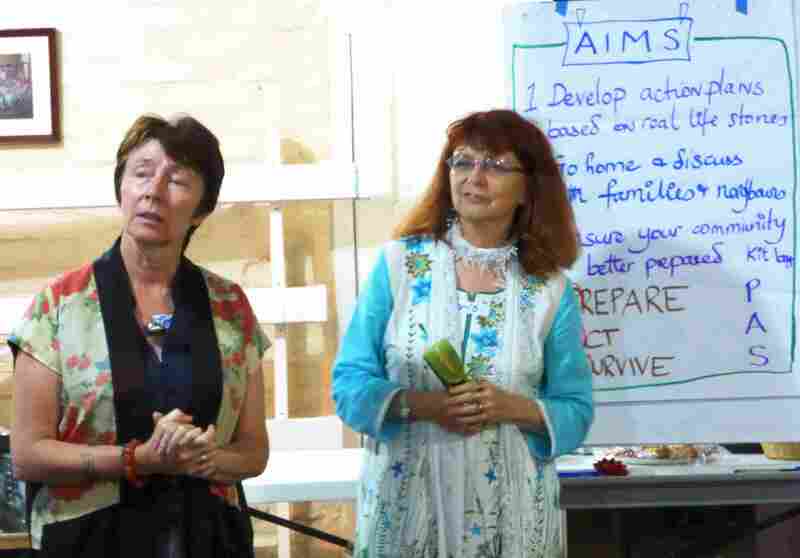 Many thanks to the Hills Sustainability Group and Keith Sillitoe and Anne Taylor for organising and hosting. And a special thanks to guests who acted as advisers and answered questions from the participants. Paul Sulley, (Glen Forrest Volunteer Bushfire Brigade) Christine Hogan (Transition Town Guildford) and Andrew VanderHeyden, (Deputy Chief Bushfire Control Officer. 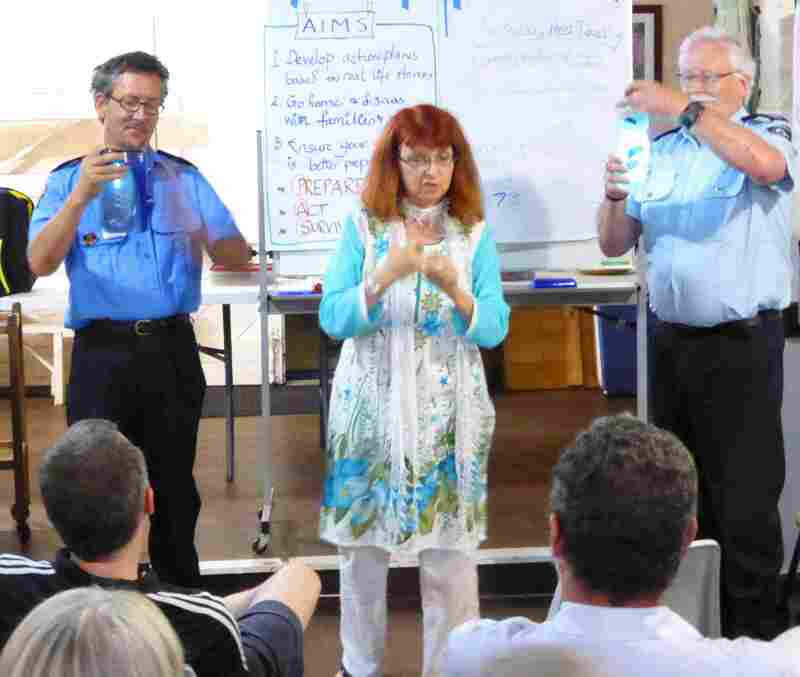 Shire of Mundaring) demonstrate Steripens which purify water in 90 seconds! 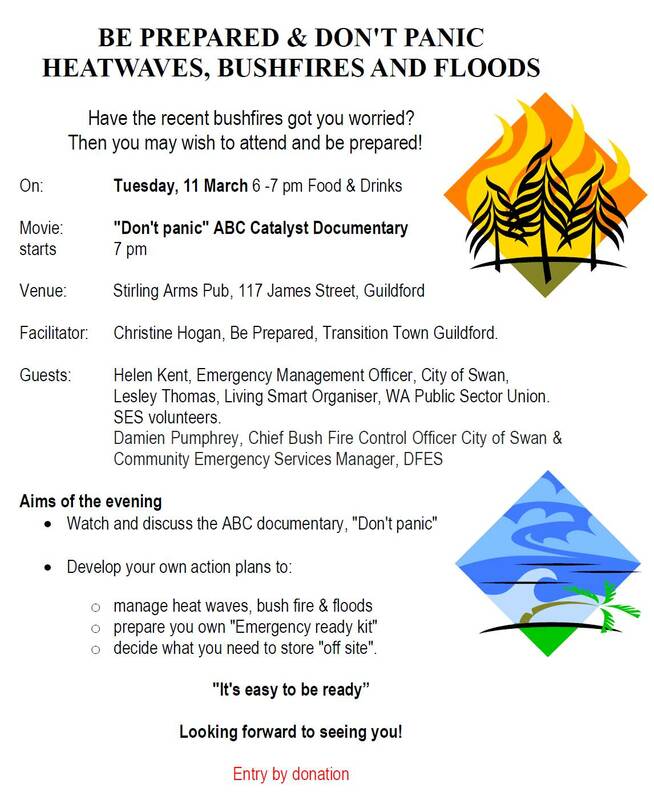 If you could not attend the workshop on Tuesday night, but would like to learn more, Transition Town Guildford is organising another evening “Be prepared: Heat waves, bush fires and floods” on Tuesday, 11 March, 6.00 pm, Stirling Arms Pub, 117 James Street, Guildford and will show the film “Don’t panic” the ABC, Catalyst documentary aired in December 2012. If you’re planning on having a meal, you can make it easier for the kitchen by placing a phone order in advance on (08) 6142 4352. Check the Stirling Arms menu here. This entry was posted in Be Prepared, Climate Change, Event, Take Action and tagged Bushfire, Chris Hogan, Don't Panic, Heatwave, Hills Sustainability Group. Bookmark the permalink.